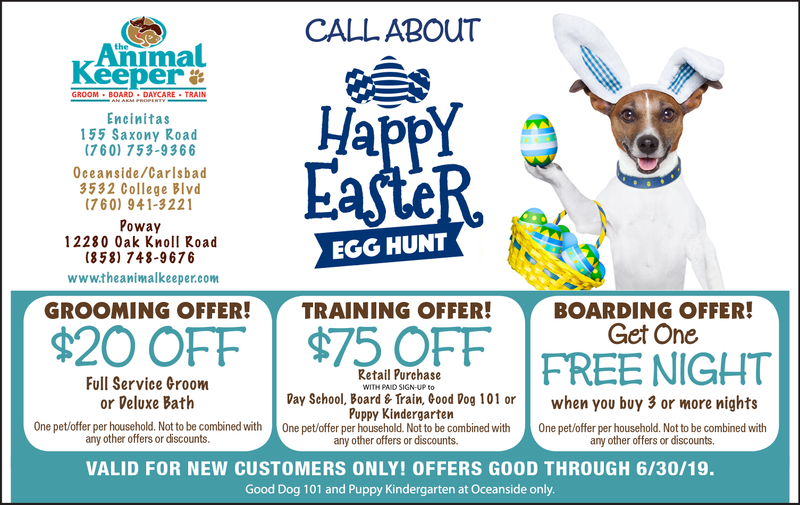 Package pricing does NOT include the boarding rate. 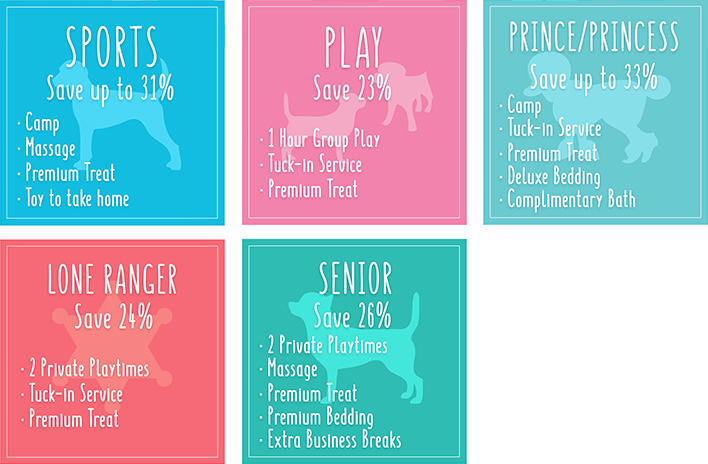 Includes: Camp, premium treat, massage, and sports toy to take home. 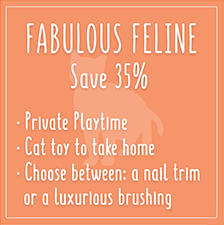 Includes: 1 hour group play, premium treat, and a tuck-in. Please call to inquire holiday rate dates and prices. Cost of private daycare included. 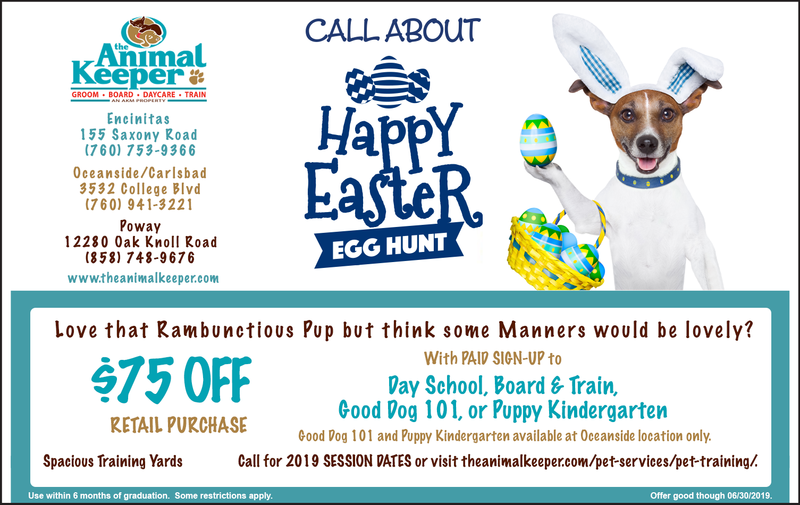 Please call for available grooming services and quotes. New Customers - Try Us Out! 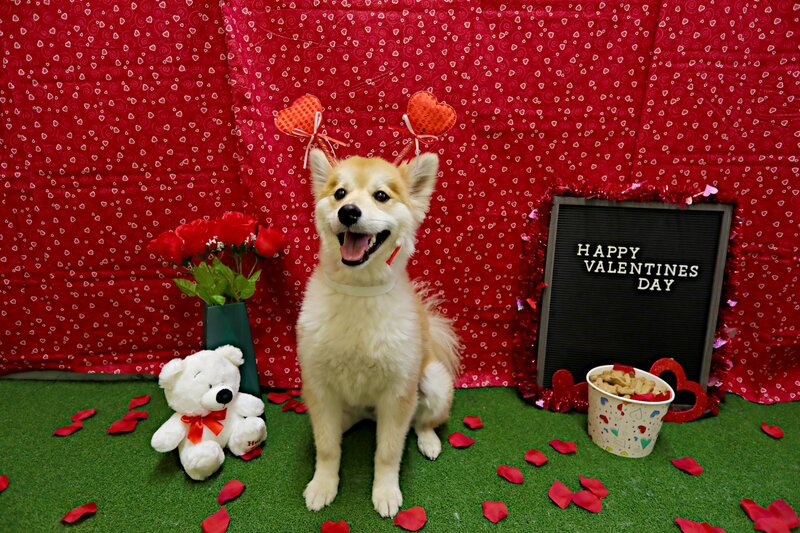 Check out our photos from our 2019 Valentine's Day photoshoots! 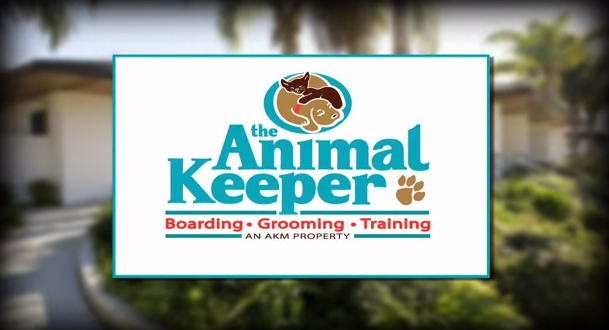 We LOVE the Animal Keeper in Oceanside.